Having a demat account means that you don’t have to store share certificates in the physical form. 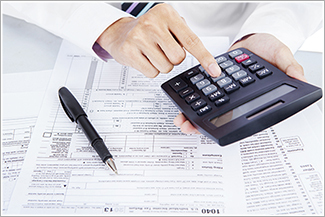 The demat account holder can also use it to save tax on their investments. If you have been a trader for a while, you already know that demat means dematerialization and that a demat account is a special holding that stores shares in the electronic format. Having a demat account means that you don’t have to store share certificates in the physical form. The demat account holder can also use it to save tax on their investments. A demat account is now necessary to trade in stocks and the share market. Most often companies pay dividends to their shareholders that are credited to the demat account. The company decides the percentage of the dividend and its intervals. This dividend comes with a benefit as the demat account only attracts tax for the transactions taken place in the account like the buying and selling of shares. The investors can use the dividend as an alternate source of income. Investments attract both long-term capital gains and short-term capital gains. Short-term capital gains: The investor gets capital gains when they sell off their holdings within a year of its purchase. According to the latest Budget amendments, the short-term capital gains are taxed at 15%. Short-term loss: In case of short-term loss on sale of securities, the investor can adjust the loss against the taxes that will be levied on short-term capital gains. A demat account holder can offset their short-term capital losses by adjusting their short-term capital gains on any asset class. Long-term capital gains: Earlier there was no levy of long-term capital gains tax on the sale of securities, which enabled the investor to maximize their profits by holding their investments for a longer term. But, according to the latest budget, the long-term capital gains are taxed at 10% if the gains are more than Rs1 lakh. This capital gains tax is offset when compared to the gains that can be received from the market as the economy of the country is witnessing a major boom. Long-term capital loss: Just like short-term loss is offset against short-term capital gains, the long-term capital losses are offset against long-term capital gains, which helps the investor to save a considerable amount of tax. Carry forward the losses: If the investor has suffered many short-term losses from the sale of his/her securities, they can carry forward that losses for subsequent eight years provided the loss is adjusted against the same asset class from which the loss emanated. Carry forward of losses can help the investor in lessening his/her profits and save on the tax payable and this carry forward option is beneficial for the investor who is yet to learn the ropes of trading. One of the other options that enable an investor to save up to Rs1,50,000 (Rs1.5 lakh) under Section 80C of the Income Tax Act,1961 is the Equity Linked Saving Scheme. It is an open-ended mutual scheme and is offered by many investment houses through the demat account to its investors. The ELSS comes with a lock-in period of three years and has the growth and dividend option. It is becoming quite popular with investors today as it offers double benefits of tax and significant returns. Having a demat account is a requirement when dealing with securities and the market. Besides, it offers many benefits, including saving on taxes. Investing and managing the demat account wisely can help you strengthen your financial reserves.